Every business runs the risk of being targeted by thieves. Burglars usually operate in the dead of night when the dark provides covering. Other popular times for theft are at opening and closing when the customer traffic is light enough to get in and out with ease and not very many witnesses. Every business owners who have suffered a break-in knows that they are expensive, time-consuming, and extremely inconvenient. 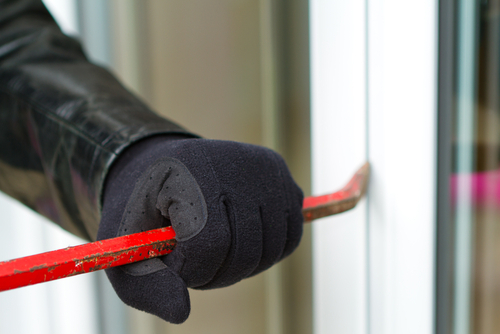 There are measures business owners can take to deter thieves from entering their property. Small business and large corporations need security measure to ensure their property is always protected. Small business is seen as easy targets and require the most physical protection. Lights may not appear to do much to prevent burglary but remember that thieves do not want to be seen. Install spotlights at every entryway point of your business. This includes all doors and windows. Do the same with security cameras. A huge majority of burglaries are not solved due to lack of evidence or because they cannot be identified. Recorded footage is the perfect way to capture them. Thieves will not want recorded evidence of their breaking into the business. Thieves will target places they feel are not properly guarded. Invest money into your locks and doors. Strong locks and doors will require the use of extreme force to break-in. Strong locks and doors mean more time to break down them the door. For thieves, it is all about getting in and out as quickly as possible. If it takes longer than a few minutes, it will encourage them to give up. Another obstacle is a strong gate, many will not want to fuss with a series of locks. Install an alarm as well. Even the most brazen of a thief will think twice before taking from a business once they hear a loud alarm. Never leave out valuable in view of a thief since that will entice them further. In a bustling city like Las Vegas, businesses are enticing to a myriad of people and not all for positive reasons. Protect your business by installing gates to all of your doors and windows. Look to Western Doors and Gates for all of your security gate needs. For more information, please peruse our site.